The Delonghi KG89 Coffee Grinder produces a uniform ground texture for the most consistent results with the burr grinding wheel. You can choose the perfect grind setting from course, to medium, to fine. This grinder can grind 4-12 cups of coffee with the quantity control knob. Burr Grinding Wheel: Produces a uniform ground texture for the most consistent results with the burr grinding wheel. Customizable Grind Setting: Choose the perfect grind setting from course, to medium, to fine. Quantity Control Knob: Grind 4-12 cups of coffee. 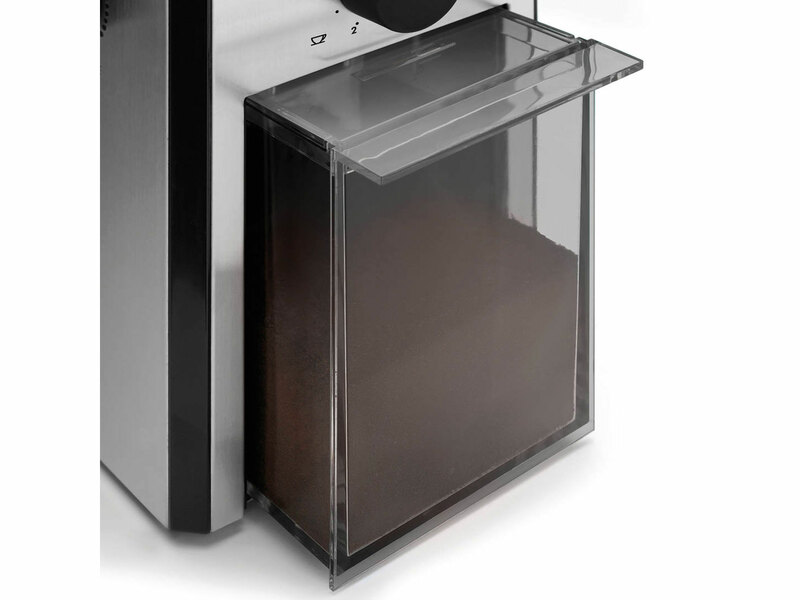 Transparent Container: Easy access to ground coffee with removable, transparent ground coffee container. Simple to Use: With on/off push button control. Dual System: Safe operation with dual system. It automatically shuts the unit off if the lid or ground coffee container is not in place. Self-Contained Cord Storage: Keep countertops clutter-free. Ground Coffee Capacity(gr./oz.) 226 gr. / 8 oz. Bean Hopper Capacity(gr./oz.) 226 gr. / 8 oz. Dimensions in inches (WxHxD) 4.5" x 10 1/4" x 5 3/4"